First of all, there is not one best dentist. There are quite a few great dentists and a few dentists that aren’t so good. A significant portion of the population in the United States has had a terrible dental experience at some point in their lives. These bad experiences can scar them for life and leave them with significant dental problems due to dental neglect. While each story is unique in its own way, the theme is always the same; the patient lost trust in the dentist that was caring for them due to one or several bad experiences. It often takes a few exceptional dental appointments, with the right dentist, to develop trust with a patient that had bad experiences elsewhere. It takes a variety of different factors working together to develop a trustworthy relationship with your dentist and his staff. All of these factors are equally important in finding the best dentist for you. 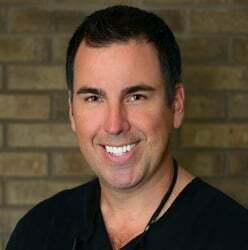 So, you may be wondering, How can I find the best dentist for me? What should I look for in a dentist and his office staff to assist me in finding the best match for me? The following is a list of factors that will help you answer these questions. No recommendation is better than the one you get from friends or family, in most cases. Most of the time your friends or family members will not send you anywhere that they would not want to go themselves. If you have some friends or family that believe they have found the best dentist in the area and would have no hesitation whatsoever in sending you there, go for it. If you don’t know anyone in town, ask the dentist for patient referrals. A great dentist has many patients that are willing to attest for him/her. In this day and age, the internet is the next best tool in finding feedback from others in regards to their experiences with various events, in the form of reviews. Google, Yelp, Angie’s List, and several other sites provide us with endless opportunities to read reviews from others who have already gone through the dining experience at a new restaurant, a sales experience at the car dealership, or in this case, a dental work experience at one of the many dentist offices in town. Google and Yelp reviews are a couple of the more reliable review sources. Therefore, you want to find a dentist with 5 star reviews, and many of them. Google and Yelp are diligent about filtering out possibly falsified reviews. They also filter out many legitimate reviews as well. 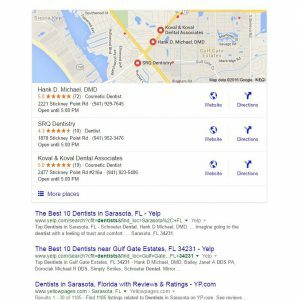 It is often hard to find a dental office with a large quantity of reviews. So, look for a high quantity of reviews, and a great quality of each of those reviews as well. See what others are saying about that dental office. See if what they are saying is a good match for you. Is it what you are looking for in your dental office? Ultimately, you will make your decision once you meet the doctor and his/her team. Check out the dentist’s qualifications, and look for signs that he is continuing to invest his time and effort into becoming an expert in his craft, by doing continuing education courses. You can often find a list of the associations the dentist is a member of, and his educational credentials on the office website. Examples of prestigious associations and organizations are as follows: the American Dental Association, the Academy of Cosmetic Dentistry, the International Congress of Oral Implantologists, the American Academy of Cosmetic Dentistry, the Academy of Laser Dentistry, the Misch International Implant Institute, the American Dental Society of Anesthesiology, the Academy of General Dentistry, and any local associations, such as the Florida Dental Association or Sarasota County Dental Association. To find evidence of continuing education being performed by the dentist and his staff, you can look for blogs on the office website that the office may have posted regarding them attending these events. Facebook, Google+ and other social media websites associated with the dental office may have posted photos or comments regarding the events the office attends as well. By investing their time and energy in becoming as educated as possible about new technology and continuing trends in dentistry, you can be confident that you are in good hands with a staff that knows what they are doing. Dentistry is forever changing with newer and better technologies to make your life, and your dentists life much easier and often more comfortable when you require dental work to be done. There are some key pieces of dental technology that every great dentist should utilize in his practice. Magnification – Every dentist should be using dental magnification with a good light source. Dr. Michael uses five times magnification with a true color LED light source. Loupes are glasses that are fitted with dental magnification, and commonly with a light source right above the bridge of the nose. In dentistry you are dealing with a dark area, your mouth, and with small objects, your teeth. Therefore, it is critical to have a great light source and magnification to see the smallest details that go into providing you with outstanding dental care. Dentists are not required to wear dental loupes, but the best dentists are using them to allow them to perform to the best of their ability. Digital X-rays – Digital x-rays are much safer than traditional film x-rays for the patient and the dental staff. The radiation used with digital x-rays is 90% less than that of traditional film x-rays. The digital sensor requires that much less radiation to get a quality picture of your tooth, which is extremely significant. Digital x-ray images, with an HD sensor can provide dental offices with much more precise images of your teeth, to search for decay, infection, and various other dental concerns. Dental providers can also enhance the images in size or clarity on a computer screen to get a better look at a trouble area, which is not available with a traditional film x-ray. Digital X-rays are also instant and portable. Dental Lasers – Dental lasers allow dentists to perform procedures, specifically those involving periodontal, gum and tooth related, surgical procedures with much less post-op discomfort for patients, and in a gentler and more efficient way that could be done with traditional methods. Dental lasers are FDA approved to be used to do fillings, cut bone, and other dental procedures, but most commonly are used for gum-related surgeries, because they provide consistently predictable and comfortable results. Email and Text Appointment Reminders – While this is not a dentistry specific technology, it is important for dental offices to be progressive in their appointment technology, as well as their surgical dentistry technology. Patients really appreciate offices that use automated text and email reminders instead of a phone call. An excellent dental office will also allow you to set your own preferences for reminders. You can also opt out if you would rather receive a phone call. Some offices still prefer to use postcard reminders as well. Either way, a great dentist is making an effort to help you make a keep your appointments so that you do not neglect your teeth. Same-Day Crowns – The same-day dental crown technology has been around for 30 years, but only within the past 5 years has it gotten so advanced that it rivals traditional lab made dental restorations. The most appealing aspect of the same-day crown technology is that you leave with your permanent crown, inlay, onlay, or other dental restoration that day. That means you do not have to go weeks with a temporary restoration. It also means only one dental injection and only one trip to the dentist. Not all of the best dentists have this technology. Finding one that does though, is recommended due to the many conveniences the service has to offer when you need dentistry in a hurry. In dentistry, sedation is wonderful way to provide comfortable care to those that have had one of those traumatic experiences. Many patients consider going to the dentist to be one of their worst fears. For that very reason, successful dental procedures often have to be completed under some form of dental sedation. The best dental offices offer some or all dental sedation options. These options include: Nitrous Oxide Sedation (Gas), Oral Sedation (Pill), or IV Sedation (Intra-Venous). These are the most common options for dental sedation. All of these types of dental sedation are conscious sedation, meaning that the dentist can ask you to open, close, swallow, etc. It also means you are able to breath for yourself. A deeper form of sedation is known as general anesthesia. Very few dentists perform general anesthesia since it is not usually necessary. You will likely fall asleep with the oral or IV options, while the Gas will rid you of any anxiety you may have and allow you to get comfortable. To go along with the sedation, look for other comfort offerings, such as music, television, or reading materials being available in the dental rooms. The smallest of entertainment options can make the biggest difference in a patient’s dental experience being a comfortable one. Even if you are one of the few that are not fearful of dental visits, having a dentist that provides a variety of sedation options shows you that he/she invests in making his/her patients as comfortable as possible. Finding a dentist with a personality, chair-side manner you are comfortable with and you genuinely trust is of the utmost importance. Unfortunately, it is hard to measure this quality in a dentist without actually going into the office and feeling him/her out on your own. This is why it is important for the dental office to offer a no charge consultation visit or a very reasonable new patient exam and x-rays. The best practices usually offer both of these options. This way they get a chance to show off the cleanliness of the practice and the professionalism of the office. It is also an excellent opportunity for the patient to meet the dentist and to ask any questions they may have. Dentists that take the time to talk to you are definitely in the category of the best dentists. It is important that you feel comfortable. Not every great dentist is going to make you feel comfortable… pick one that does. Once you have considered all of the other criteria for choosing the best dentist, take a chance and schedule a visit with the dental office that you feel meets your specific criteria. Narrow it down to a couple of offices and pic the one that you feel is the best fit for you. Choosing a dentist can be a daunting task. Hopefully these tips help you easily find the best dentist whether you are in your hometown or traveling on vacation. You should be able to walk into your future dental office and be confident that you are receiving the best of care, in a comfortable and relaxing atmosphere.